160 pages | 53 B/W Illus. Religious events and cultural celebrations form an important part of societies throughout the world. They are key to social development and understanding, for celebrating diversity, as well as finding common ground. 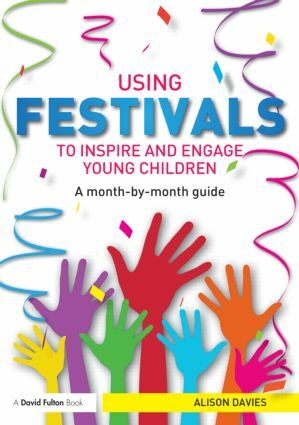 Covering a wide range of festivals from around the world, this book shows practitioners and teachers how they can introduce young children to some of the ideas behind these events and encourage them to have fun, get creative and work together. story models that can be adapted and used to suit different events. Highly practical with an emphasis on fun and hands on learning, this book is a fantastic resource for Early Years practitioners, Primary School teachers and those that want to inspire young children and celebrate the world we live in. Alison Davies is an author of several fiction and non-fiction books, a professional storyteller and a creative practitioner. She writes for a wide selection of magazines, including Practical Pre-School, Nursery World, Teaching and Learning magazine and Child Education. Her features have also appeared in the Times Education Supplement, the Sunday Express parenting section, and various parenting and mother and baby magazines.